The start of Spring Break in Winnipeg typically brings with it thoughts of outdoor activities with friends, family and youth groups. 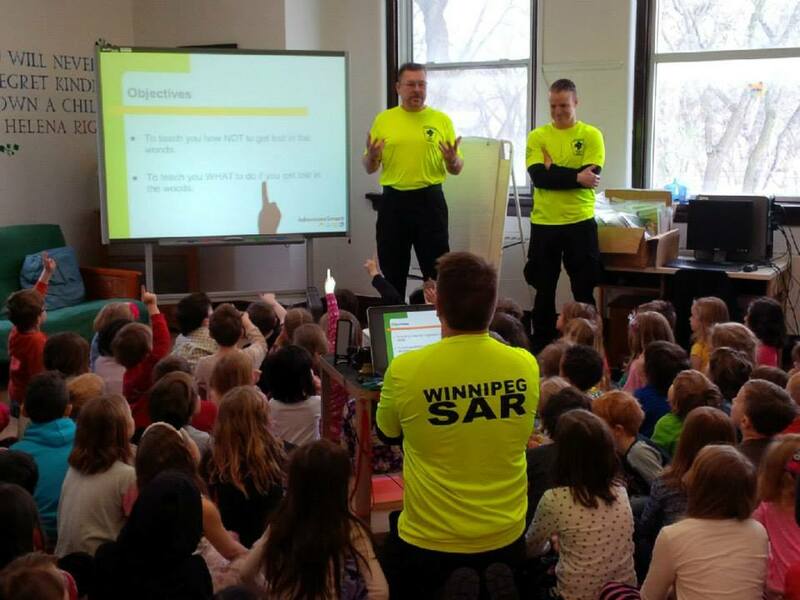 While many of us are eager to get outdoors and plan for fun in the increasingly warmer sun, Winnipeg Search & Rescue (WINSAR) and Winnipeg Police Serive Ground Search and Rescue Unit want to ensure youngsters are doing so as safely as possible. So between March 18 and March 27th they undertook a mission to promote outdoor activity and provide children with tips on how to avoid getting lost in the woods and what to do if they should they become lost. More than 2,500 Manitoba students enjoyed the Adventure Smart – Hug A Tree and Survive program. Most of these students will be from Winnipeg schools while the rest are being presented by Winnipeg Search & Rescue in more remote areas. The Hug-A-Tree and Survive program targets kids in grades K-6. Help searchers by answering their calls. Each participant also receives a Fox 40 whistle, a foil emergency shelter, a Hug-A-Tree colouring book, a reflective signal card and an information pamphlet containing outdoor safety tips and references. All presentations are free and the hand out material supplied through supporters of the Search and Rescue Volunteer Association of Canada www.sarvac.ca. The Hug A Tree Program is part of a larger education and awareness program the Ground Search & Rescue Team offers in partnership with the Winnipeg Search & Rescue volunteer group, and under the AdventureSmart (www.adventuresmart.ca ) banner.